One of the most powerful WYSIWYG HTML text editors ever, and designed to stay that way. It is a simple to use plugin that allows you to add rich text editing functionality to your native mobile apps and progressive web apps developed with the Ionic Framework. Supported on iOS, Android and Windows Phone, Froala WYSIWYG HTML Editor has lots of examples, high performance and inline editing. The Ionic Froala Editor plugin can be used together with the AngularJS plugin. For a complete guide on how to get started check out this resource: Ionic app and AngularJS. 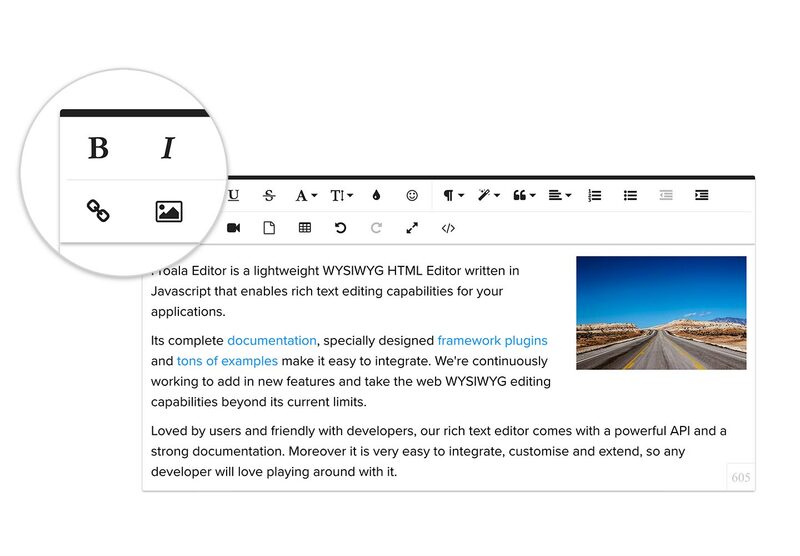 The powerful API allows developers to easily adapt the WYSIWYG editor to their app's needs. The documentation for the API is easy to follow and find what you need. 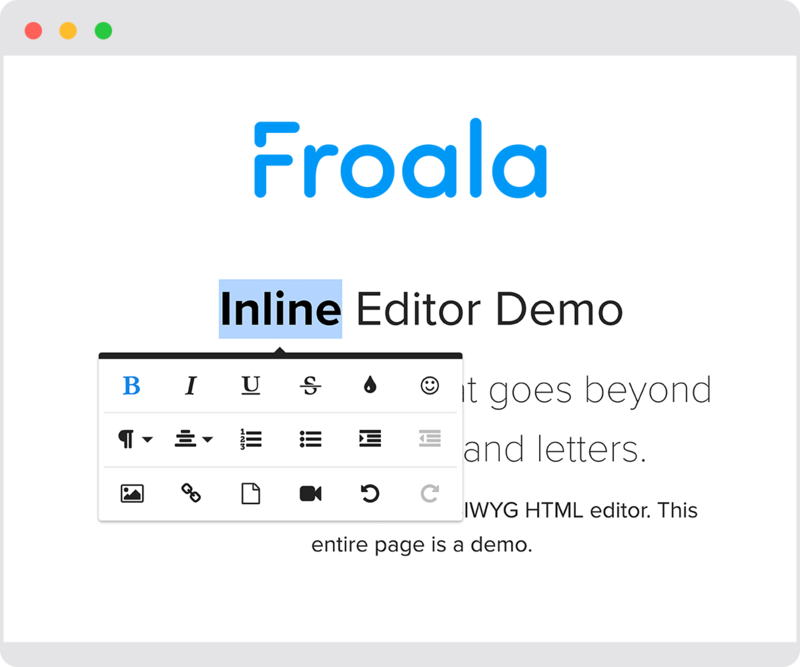 Froala WYSIWYG HTML editor has over 30 plugins that you can use. This makes the editor easy to use out of the box, but still keeps it slim and lightweight, because you can only include the plugins you need. If you plan to extend the rich text editor there are plenty of resources to follow. Here's for example the basic structure for how to create a custom plugin. Also, the code is well written and documented, which makes it very easy to understand and existing plugins are often used as a basis for your own plugins. Browsing through the Froala WYSIWYG HTML editor's list of examples you may even find your own required configuration. 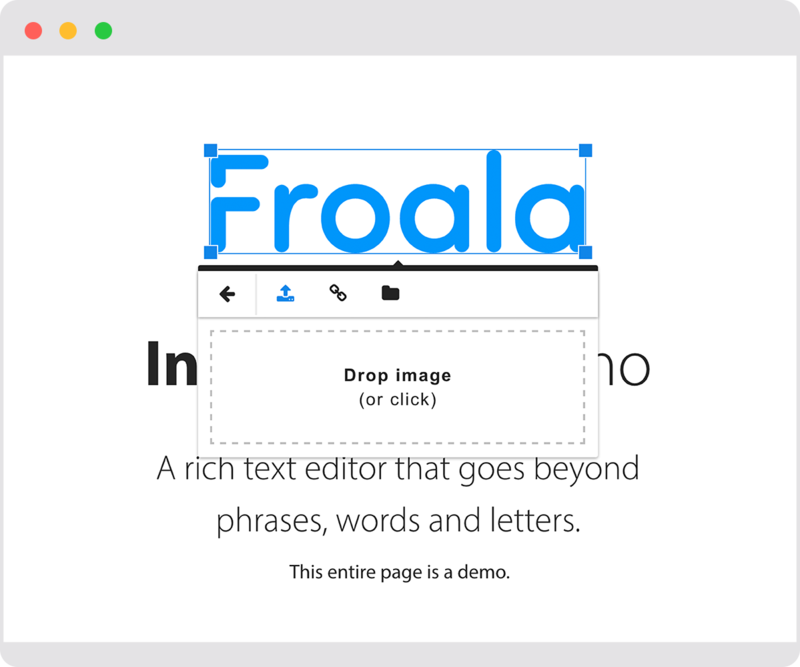 The quality of the Froala's support makes the WYSIWYG HTML Editor complete and loved by developers all around the world. It also comes with a Help Center where you can find answer to most asked questions and that might help you get things up and running even faster. Is there a version of this available for Ionic 1.x? At this moment we don't have a version for Ionic 1.x. The external website says $99 for one domain. Will this plugin work on any number of devices? If you are using the editor in a native application, that qualifies under the OEM license as you're redistributing the editor within your product.